Patti Brennan talks about the vizHOME project. From the mid 1980s we've been in over a thousand homes in the Midwest to help people manage their health at home and study how different kinds of computer tools might help people take care of themselves. What we’ve learned over and over again is that tools built for business environments don’t fit in bedrooms or kitchens. As healthcare increasingly moves into the home, we’ve got to have devices that better support people there. The vizHOME project was designed to do just that. vizHOME is a 5-year project funded by AHRQ whose primary aim was to explore the impact of home environments on how people manage their health information at home. The AHRQ website describing vizHOME is available here. Health care today relies greatly on helping people help themselves. From monitoring diets to managing medication, the typical person faces many personal health information management (PHIM) demands. Computer tools can assist with this information management, but they are often created and tested in a lab, not in a home where they will be used. We have learned that people use their environment to assist them in their self-care. They rely on such things as the visibility of a reminder system for a weekly blood test and the proximity of a glucometer to the computer that stores its readings to help themselves with PHIM. Device designers need to understand where such things occur in order to make effective solutions that work for them. So vizHOME set out to achieve a better understanding of how the home environment affects how, where, and how well people use these types of health care devices. Using LiDAR, a laser emitting scanner, we captured the interior of homes in 3D, and then visualized them in our virtual reality CAVE. We were then able to use these 3D models to learn about how other people would use the same space, and infer how space affected what they did. In the first year of vizHOME, we recruited 20 people who had been told that they have diabetes. Participants signed an informed consent form that was approved by the University of Wisconsin-Madison Institutional Research Board (IRB). For more details on the participants and their homes, go here. We conducted intensive interviews that explored each participantʼs health concerns and health information management practices. The interior of their homes were scanned using LiDAR during the 1-3 visits to each home. The LiDAR scanner used provided both depth and color, allowing computers to create a 3D reconstruction of the space. Photographs and other static views of houses do not afford the experience of actually walking through the houses in which the PHIM tasks are performed. Virtual reality (VR) models of actual homes, rendered in CAVEs such as ours, address some of these limits. Because these virtual replicas are displayed to-scale in the CAVE, participants could look at such things as relative location of key features, the size of doorways or the height of a toilet seat. And future users e.g. device designers, health care providers or architects would benefit from knowing the dimensions of spaces and objects within the homes. For more details on how LiDAR scanning works, go here. In later phases of vizHOME we brought in groups composed of experts (professionals including nurses, computer scientists, engineers) and community-dwelling lay people with diabetes to navigate through these reconstructed virtual houses to help identify what aspects of the houses might help, or interfere with, their health information management. Lay people also explored a series of non-contiguous rooms from a subset of the houses to identify what features would be most useful to them for performing PHIM in order to reduce and refine our list of key features. Through this process, we developed a checklist named the Assessment of the Context of Home Environments (ACHE) that could be used by designers, clinicians and home care specialists, and lay people to plan the best places to store health information, build in reminders for common tasks like taking medications, and better organize health information. Finally, we've created this website to share the homes with others who may be interested in learning about them or leveraging them for a specific purpose including device designers, health care providers, computer scientists and educators. As the team saw the benefits of the the virtualization of home environment, a project was undertaken to explore the how these datasets could be included in the electronic health record. The AHRQ R03 project HS024623 Virtualized Homes: Tools for Better Discharge Planning, created a partnership between the University of Wisconsin Hospitals and Clinics and Epic Systems. This project, alongside the vizHOME project, was presented as part of a National Web Conference on Use of Health IT for Aging Adults for AHRQ in July of 2017. As the team was scanning homes for the purposes of studying health, an unexpected collaboration emerged. After a homicide occurred in a nearby town, the team was contacted by the local sheriff's office and FBI to perform the same methodology developed in this project for the purposes of CSI. This collaboration was considered an overwhelming success and the team applied for funding opportunities to explore furthering the collaboration. 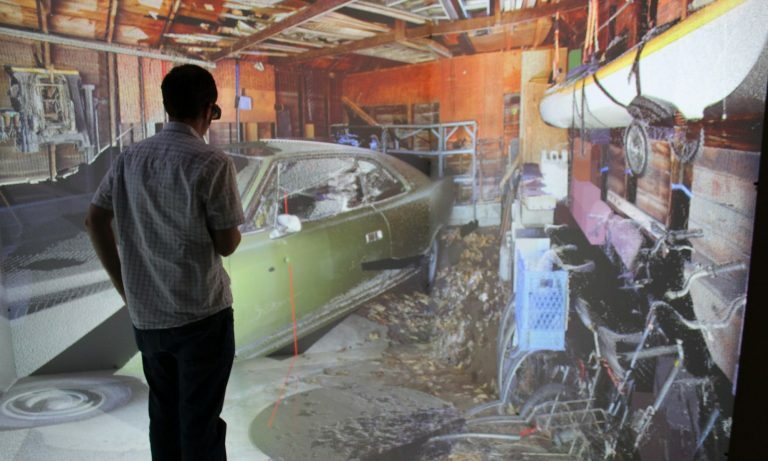 In early 2017, the team was awarded the project funded by the Department of Justice, 2016-IJ-CX-0017 Analyzing the Impact of Virtual Reality and 3D Capture Technology on Crime Scene Investigation. The project team has also found applications in the areas of cultural heritage. The team first teamed with Taliesin Preservation Inc. and the Frank Lloyd Wright Foundation in 2014. The team scanned approximately one-third of the 40,000-square-foot estate capturing locations that are not available on regularly scheduled tours of the estate due to accessibility limitations. The model created from those scans contained nearly 2 billion points in a single binary data file almost 35 GB in size. 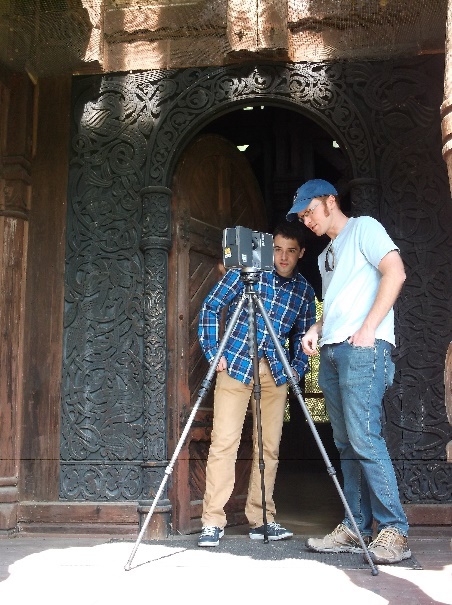 The data set is the largest and most detailed 3D model of Taliesin East in existence. To broaden the impact of this work, the lab hosted several outreach events showcasing the Taliesin scan. The team held a public event at the WID facility, featuring talks by members of the project team and the Taliesin Preservation and offering attendees the chance to experience the model generated from the data set in the CAVE system and showcased the model at two community libraries in Wisconsin (the Marathon County public library in Wausau, WI and the Spring Green public library in Spring Green, WI). The team has also partnered with the Mount Horeb Area Historical Society (MHAHS) to 3D scan and showcase historic buildings from the geographic region surrounding Mount Horeb, WI. The team is completing a museum exhibit located at the newly renovated Driftless Historium in Mount Horeb, WI to showcase these 3D scans. The museum exhibit combines the rendering technology developed in vizHOME with a consumer grade head mounted display (the Oculus Rift) to allow users to experience the buildings in virtual reality and combines this with audio narration that discusses the buildings’ history and cultural significance. The exhibit currently contains one 3D scan of a historic church that is no longer in the area, and the final exhibit is expected to be complete by mid October 2018 with the addition of two buildings (a historic barn and an additional historic church). Recently, members from the vizHOME team have partnered with the National Parks Service in efforts of capturing 3D models of underwater shipwrecks. Underwater video and images were taken of several shipwrecks located near the Isle Royale in Michigan. Members from the vizHOME team use photogrammetry techniques on these videos to reconstruct 3D models. In addition to the Isle Royale, recently a member of the team went to Dry Tortugas National Park in Florida to continue work with the National Park Service on reconstructing 3D models of shipwrecks in that geographic region. The group's work in the area of cultural heritage was recognized on the cover of the National Historic Preservation’s Forum Journal. The project team quickly found that existing methods to render pointclouds in virtual reality were insufficient for the project. A new rendering system was created which enabled both a high level of interactivity while maintaining high quality visuals. This work was patented by the Wisconsin Alumni Research Foundation and in 2018 funding was given to broaden the impact of this work. This project was supported by grant number R01 HS22548-01 from the Agency for Healthcare Research and Quality. The content is solely the responsibility of the authors and does not necessarily represent the official views of the Agency for Healthcare Research and Quality. Broecker, M., Ponto, K., Tredinnick, R., Casper, G., Brennan, P.F. (2016). SafeHOME: Promoting safe transitions to the home. Studies in Health Technology and Informatics, 220: 51-54. Casper, G.R., Brennan, P.F., Perreault, J.O., Marvin, A.G. (2015). vizHOME – A context-based home assessment: Preliminary implications for informatics. Studies in Health Technology and Informatics, 216: 842-846. Casper, G.R., Jarzemsky, P.A., Athanas, J.D. (2016). Extending informatics education to home care. Submitted to the American Medical Informatics Association (AMIA) Annual Symposium, November 2016. Jolliff, A.F., Hoonakker, P., Ponto, K., Tredinnick, R., Casper, G., Martell, T., Werner, N.E. (Submitted). The Desktop, or the Top of the Desk? The relative usefulness of household features for personal health information management. Submitted to Elsevier Editorial System for Applied Ergonomics, August 2, 2018. Ponto, K.B., Brockberg, D. (2016). vizHOME: Using LiDAR to create point cloud representations of home interiors. Demonstration at Medicine Meets Virtual Reality (MMVR) Conference, April 2016. Subramaniam, N.A., Ponto, K. (2014). Hierarchical Plane Extraction (HPE): An Efficient Method For Extraction Of Planes From Large Pointcloud Datasets. In Proceedings of the 34th Annual Conference of the Association for Computer Aided Design in Architecture, ACADIA, pp. 627–36. Tong, M., Borkenhagen, A., Casper, G., Arnott Smith, C., Werner, N.E. (2017). Exploring interactions in the home environment: Personal health information management strategies of patients with chronic illness. 2017 International Symposium on Human Factors and Ergonomics in Health Care. Tredinnick, R., Broecker, M., & Ponto, K. (2015, March). Experiencing interior environments: New approaches for the immersive display of large-scale point cloud data. In 2015 IEEE Virtual Reality (VR) (pp. 297-298). IEEE. Tredinnick, R., Broecker, M., & Ponto, K. (2016, March). Progressive feedback point cloud rendering for virtual reality display. In Virtual Reality (VR), 2016 IEEE (pp. 301-302). IEEE. Werner, N.E., Carayon, P., Casper, G.R., Hoonakker, P., Smith, C.A., Brennan, P.F. (2016). Affordances of household features important to personal health information management: Designing consumer health information technology for the home. In Mollo, V. and Falzon, P. (Ed), Proceedings of the Healthcare Systems Ergonomics and Patient Safety Conference. Toulouse, France, October 5-7, 2016, pp. 390-394. Ponto, K.B., Brockberg, D. (2016). 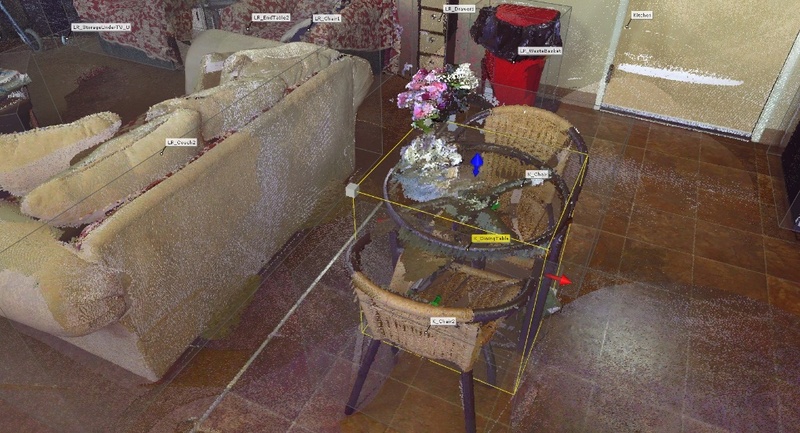 vizHOME: Using LiDAR to create point cloud representations of home interiors. 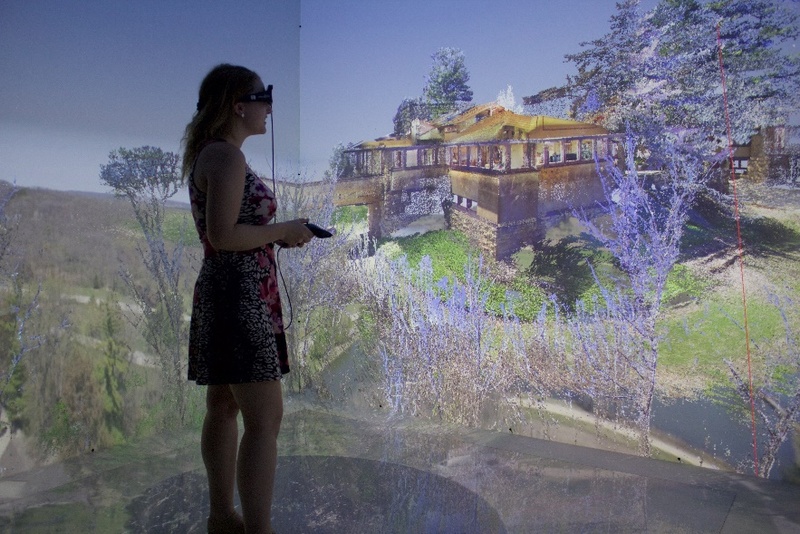 Demonstration at Medicine Meets Virtual Reality (MMVR) Conference, April 7-9 2016. Ponto, K., Tredinnick, R., Casper, G. (2017). 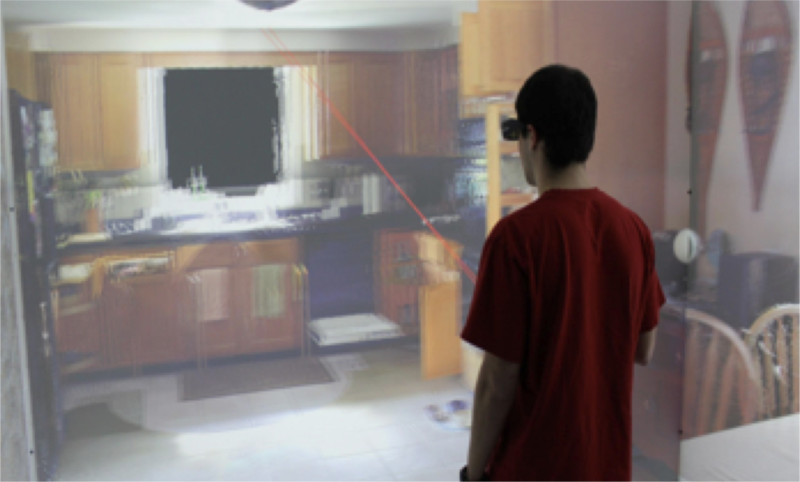 Simulating the experience of home environments, 2017 Demonstration International Conference on Virtual Rehabilitation (ICVR), Montreal, AC, 2017. June 22nd. Ponto, K.B., Gill, E., Tredinnick, R. (2017). Demonstration at e3iVR 2017 Conference. Madison, WI. April 26th, 2017. Smith, C.A., He, Y., Casper, G. (2017). 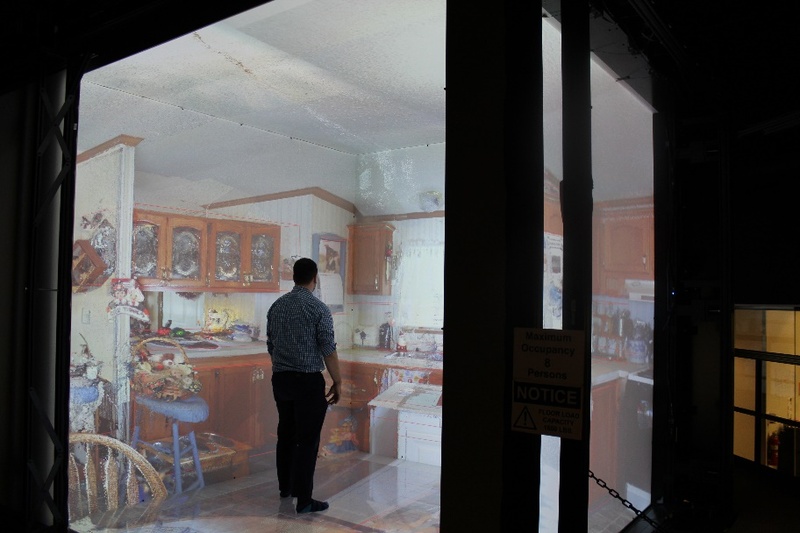 Mapping the virtual home: A new taxonomy for an expanded perspective. Podium presentation, AMIA 2017 Annual Symposium.